PUNE: he Supreme Court allowed a Pune-based woman to abort her 24-week foetus, which did not have a skull or a brain. The apex court relied on the report of the medical board of the Pune-based BJ Government Medical College that there was no medical treatment for the anomaly. “We consider it appropriate and in the interest of justice to allow termination of pregnancy,” a bench comprising Justices S. A. Bobde and L. Nageswara Rao said. The 20-year-old woman was examined at the Pune hospital. The doctors said in their report that there was a “complete absence of brain and skull” of the foetus and survival rate was minimal. 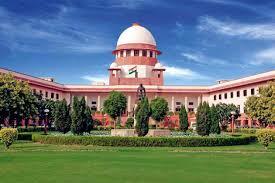 Solicitor General Ranjit Kumar, appearing for the Centre, told the bench that the government had, in accordance with the apex court’s earlier direction, communicated to all states and union territories to constitute medical boards to deal with such abortion matters. “The Union of India has communicated to all the states and union territories about having such medical boards in place,” Kumar told the court. The apex court’s order came on a plea of a woman seeking its nod to undergo medical termination of pregnancy on the ground that the skull of the foetus had not formed and the child, if born alive, may not be able to survive. Section 3(2)(b) of the Medical Termination of Pregnancy (MTP) Act prohibits abortion of a foetus after 20 weeks of pregnancy.